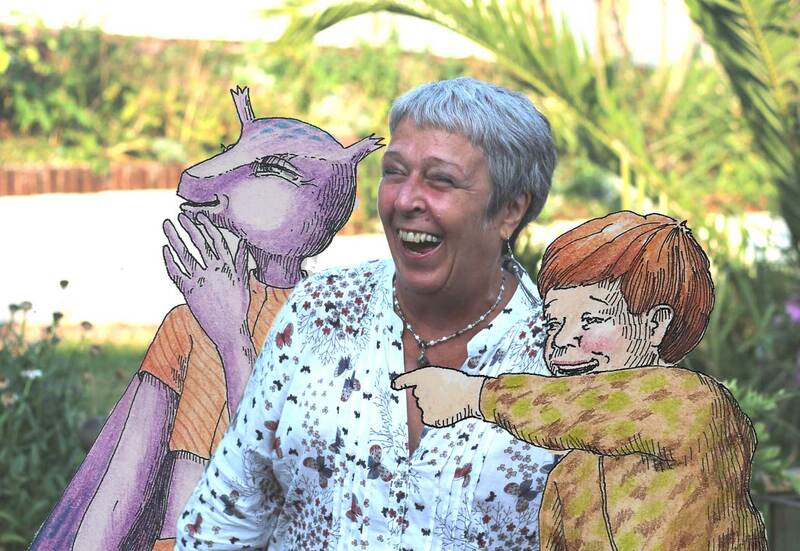 This is me, sharing a joke with George and Doop, characters from my book ‘The Black Hole in the Beetroot’. This blog is going to career off in yet another direction. First it was recipes, then it was cancer, now it’s going to be MY BOOK! Yesterday I completed and uploaded my first self-published book to Amazon Kindle. 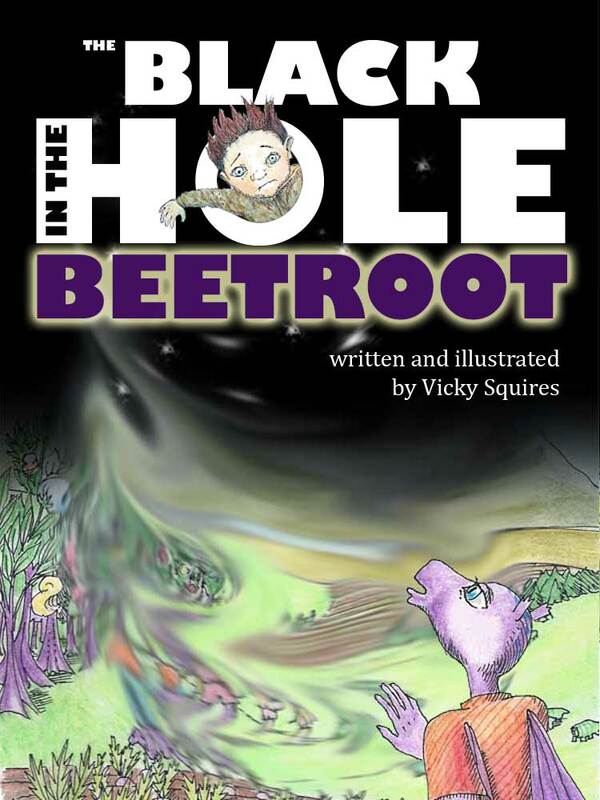 It’s a ripping science fiction yarn for 6-11 year old readers, fully illustrated. I don’t know what I’m going to do with myself from now on. 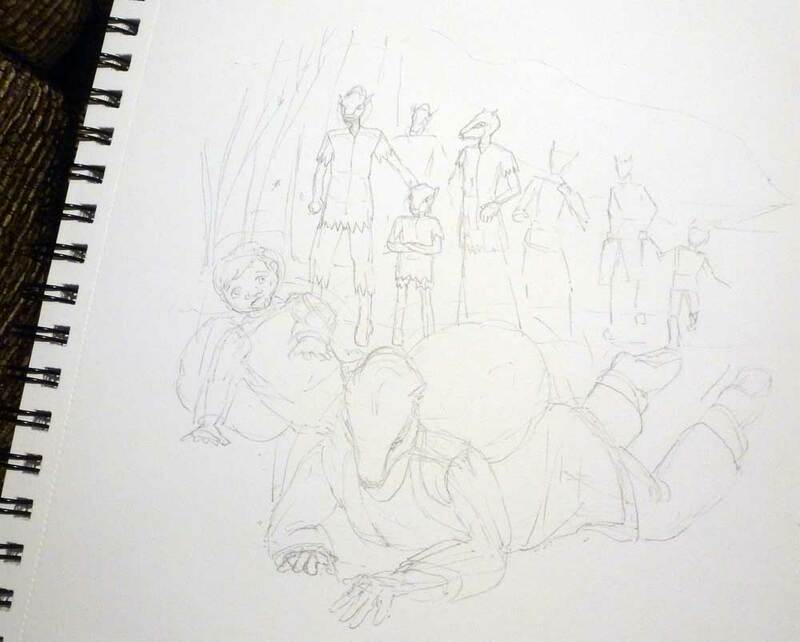 It’s been great getting up really early and immersing myself in an illustration. I got in a routine of doing one a day, preparing it in the morning and colouring in at night in front of the TV.